To call Harry Connick, Jr. (b. New Orleans, LA, 11 September 1967) a “triple threat” (as they say in show business) would be to vastly underplay his multiple talents. Not only is he internationally renowned as a singer, with seven top-twenty albums and sixteen million in sales certified in the US and 25 million worldwide, but as a pianist and big-band leader he has scored ten number-one albums (beating all other artists in jazz chart history). As an actor he has appeared in 21 films, two book musicals on Broadway (winning a Theatre World Award as Sid Sorokin in The Pajama Game in 2006), and on television for four years as Dr. Leo Markus on the sitcom Will & Grace. As a composer and lyricist he was nominated for a Tony Award® in 2002 for his score to Thou Shalt Not on Broadway. He has won three Grammy Awards and two Emmys. Connick grew up in New Orleans, where his father, Joseph Harry Fowler Connick, Sr., was a lawyer serving as district attorney for Orleans Parish for thirty years. His mother, who died when young Harry was thirteen, was also a lawyer, a judge in New Orleans, and later a Louisiana Supreme Court justice. His father, of Irish extraction, is a Roman Catholic – as is Harry – and his mother was Jewish. His parents also owned a record store. Harry started to play the piano at age three, gave recitals at five, and at nine performed Beethoven’s Piano Concerto No. 3 with the New Orleans Symphony. As a child, his most important influence and teacher was jazz keyboardist James Booker, who was also classically trained; later at the New Orleans Center for Creative Arts he studied with Ellis Marsalis. He made a recording with a local jazz band at ten (Dixieland Plus), another album the next year (Eleven), and later played a duet with Eubie Blake at the Royal Orleans Esplanade Lounge, which was preserved in a Japanese documentary called Jazz Around the World. Connick attended Lakeview School, the Isidore Newman School, and Jesuit High School, all in New Orleans. He started in the classical and jazz piano programs at Loyola University, but as soon as he was eighteen he moved to New York City to study at Hunter College and the Manhattan School of Music. He made his first record – mainly instrumental standards – on the Columbia label (Harry Connick, Jr.) in 1987; his next album, made the following year when he was twenty, featured his singing as well (20). As Harry Connick’s fame grew, director Rob Reiner asked him to put together a soundtrack for the 1989 romantic film comedy When Harry Met Sally…, starring Meg Ryan and Billy Crystal. The soundtrack album consisted of standards like “It Had To Be You” and “Don’t Get Around Much Anymore” and reached the double-platinum level in sales, winning Connick his first Grammy® for Best Jazz Male Vocal Performance. The next year, Harry Connick, Jr. branched out and made his screen debut as an actor in Memphis Belle, a World War II movie about a B-17 bomber crew. He also released two records: Lofty’s Roach Souffle, an instrumental jazz trio album, and We Are in Love, a big-band collection of mostly original songs. Then he started on a two-year world tour. We Are in Love also went double platinum and earned him a second Grammy® for Best Jazz Male Vocal. Connick’s third consecutive multi-platinum album, Blue Light, Red Light, containing all original material, was released in October 1991, as was Jodie Foster’s movie Little Man Tate, in which Connick starred as a college-age friend to a child prodigy. Meanwhile, he was being nominated for an Emmy for Best Performance in a Variety Special (Swingin’ Out Live, PBS) and for an Academy Award® (1990) and a Golden Globe (1991) for his song “Promise Me You’ll Remember” on the Godfather III soundtrack. Another platinum album of solo piano standards, 25, came out near the end of 1992, as did a reissue of the album he had made when he was Eleven. The soundtrack of Sleepless in Seattle (1993) boasted a Connick song, “A Wink and a Smile,” as did that of The Mask (1994), “(I Could Only) Whisper Your Name,” his most successful single to date. For Christmas 1993 Connick released his best-selling album ever, When My Heart Finds Christmas, still a holiday favorite. In 1994 Connick started to experiment with New Orleans funk music, and took it on a tour of the United Kingdom and China. His new album She did very well in the States, but some of his international fans were disappointed not to experience the kind of Sinatra-esque crooning they had expected. His second funk album, Star Turtle, did not sell as well as all the platinum he had recently stacked up, and got no higher than Number 38 on the charts. For his next effort, To See You (1997), Connick returned to straight jazz and original love songs, but this time beefed up with a full symphony orchestra behind his voice and piano. He ended a European tour in Paris, where his concert was recorded for broadcast on PBS for Valentine’s Day 1998. An album of big band music, his first in eight years, Come By Me, came out in 1999. The thriller Copycat (1995) was Connick’s third film, in which he played a serial killer. He followed that with a role as a fighter pilot in the most successful movie of 1996, Independence Day, with Will Smith and Jeff Goldblum. The next year he starred in Excess Baggage opposite Alicia Silverstone, and in 1998 landed his first real leading role in Forest Whitaker’s Hope Floats, with Sandra Bullock. Three or four less remarkable movies intervened before Susan Stroman called upon Harry Connick in 2000 to write the score for Thou Shalt Not, a Broadway musical based on Émile Zola’s novel Thérèse Raquin. Opening in October 2001, the show survived for only 85 performances, but Connick was nominated for a Tony Award® for his music and lyrics. Now thirty – or a little past it – Connick released a new album of guest performers with piano accompaniment by himself, 30. At the same time, he arranged the themes of children’s TV shows for his big band and recorded them as Songs I Heard; this album won him another Grammy and served as material for another national tour. Production of new musical albums continued (Other Hours: Connick on Piano Volume 1 2003, Harry for the Holidays 2003, Only You 2004, Occasion: Connick on Piano, Volume 2, a duo album with Branford Marsalis on saxophone) even as Connick was appearing on the NBC sitcom Will & Grace from 2002 to 2006, playing Grace’s boyfriend (and then husband) Leo Markus. Only You in Concert was broadcast as a Great Performances special on PBS, then released on DVD; the special received an Emmy for Outstanding Music Direction, and the DVD won a Gold & Platinum Music Video Award from the RIAA. An NBC holiday special animated feature for Christmas 2005 was based on one of the original songs from Harry for the Holidays, “The Happy Elf.” Connick was also executive producer and narrator, and it was soon brought out on DVD. 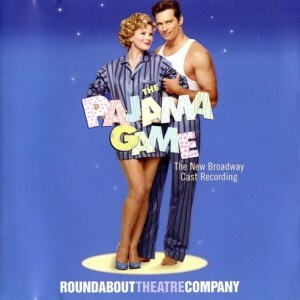 In 2006 the Roundabout Theater Company presented a Broadway revival of The Pajama Game, starring Michael McKean and Kelli O’Hara, with Harry Connick, Jr. as Sid Sorokin. It ran for 129 performances and its cast album was nominated for a Grammy®. Connick worked with Kelli O’Hara again in 2008 when he did the arrangements for her album Wonder in the World, wrote two of its songs and sang a duet as well. Two more albums, Oh My NOLA and a third volume of the Connick on Piano series, Chanson du Vieux Carré, appeared in 2007. One track, “Ash Wednesday,” received two nominations for Grammy awards. His third Christmas album, What a Night!, was released in November 2008. More recent Connick films have included Bug (2006), P.S. I Love You (2007), New in Town (2009) with Renée Zellweger, and Dolphin Tale (2011). Recent vocal albums are Your Songs (2009) and In Concert on Broadway recorded live in July 2010. Coming as he does from New Orleans, Connick has shown particular concern for the victims and destruction of Hurricane Katrina. Only days after the hurricane struck in 2005 he was raising relief money in a live telethon concert; he spent days touring the city to draw national attention to the plight of the dispossessed. He volunteered to serve as honorary chair of Operation Home Delivery, a division of Habitat for Humanity planning long-term reconstruction along the Gulf Coast. One of the fruits of his work, a joint project with Branford Marsalis, is the Musicians’ Village in New Orleans, a compound of Habitat-constructed houses to provide affordable housing to musicians and others who qualify. Another of Connick’s fund-raising projects was his 2007–8 My New Orleans Tour of the U.S., Europe, Asia, and Australia. He is a founder and member of the New Orleans “Krewe of Orpheus,” which parades on St. Charles Avenue and Canal Street on the day before Mardi Gras. Harry has been married to former Victoria’s Secret model Jill Goodacre since 1994; they live in New Canaan, CT, and New York City, and have three daughters, the youngest of whom is now nine. 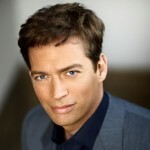 Harry Connick, Jr. will be starring in a Broadway revival of On a Clear Day You Can See Forever, opening at the St. James Theatre on December 11, 2011.